So you want to freshen up your living space somehow, but don’t have the time or money to completely redecorate – then indoor plants could be the answer! Starting to introduce indoor plants and greenery into your home is a great and easy way to breathe new life into your home interior. 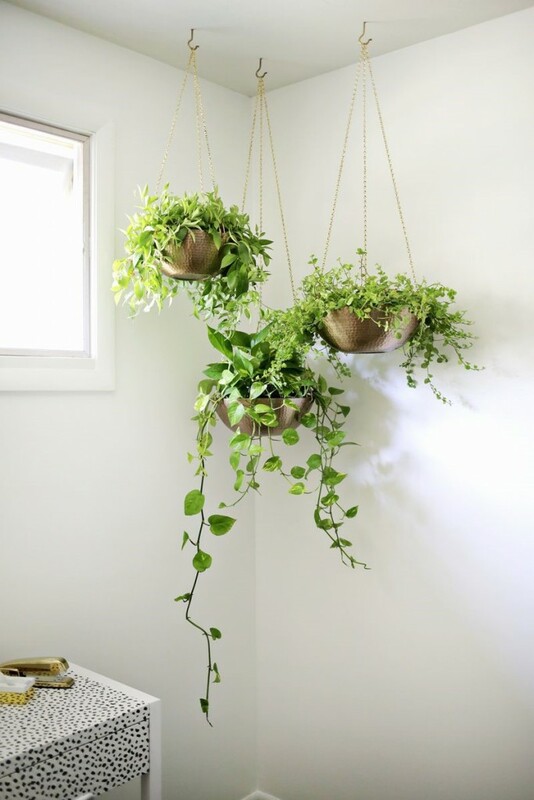 There’s a huge scope of possibility away from just an ordinary potted plant, and we’ve collected together some creative and simple DIY ideas that you can effortlessly apply to your own home. For complete green fingered beginners, we’ve got an in-depth look at what plant species are best where – and how to best care for them – a little further down our guide! One easy and subtle way to bring a bit of greenery inside is with the use of planters. This creative wall planter showcases these succulents very stylishly and in a unique display on the wall rather than on a table top. You can find these exact ones on etsy, or try to create a similar look yourself! Try including indoor plants such as aloe vera, for a luscious splash of green to your interior. Known as the ‘plant of immortality’ in early Egypt and with healing properties for burns and minor wounds – what more would you need to create an interesting piece of living art! Basil, mint and thyme are three herbs that are fantastically easy to grow, can add an extra flavour to your cooking and send beautiful aromas through your kitchen. As well as that, fresh herbs are a fantastic way to add extra nutrition and vitamins to your food, and thyme even has some antiseptic qualities! If you’re itching to know more, read some herb tips here. 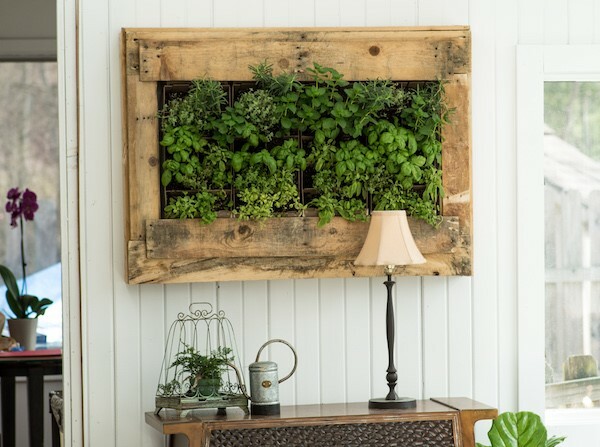 For a more rustic look, and a look that’s a little bit easier to create – use an old pallet box and some planters to store your herbs in a practical and beautiful feature for your home. 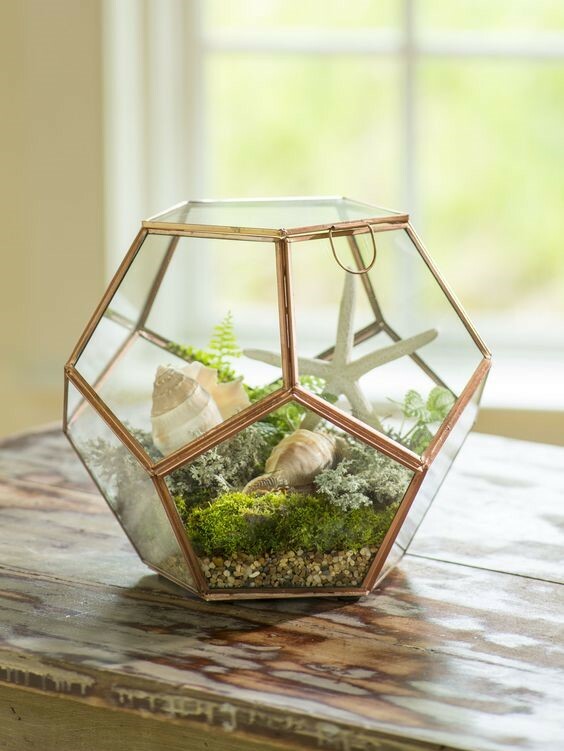 These beautifully quirky terrariums are wonderfully easy to do yourself, and offer a point of interest to a room – with hanging succulents adding a bright and breezy touch of nature to your interior. Tillandsia (or air plants) really work the best for this sort of hanging piece, as they thrive in light, airy and dry environments – and as they don’t have any roots they don’t need soil so you can create stylish looks with white pebbles or coloured sand. 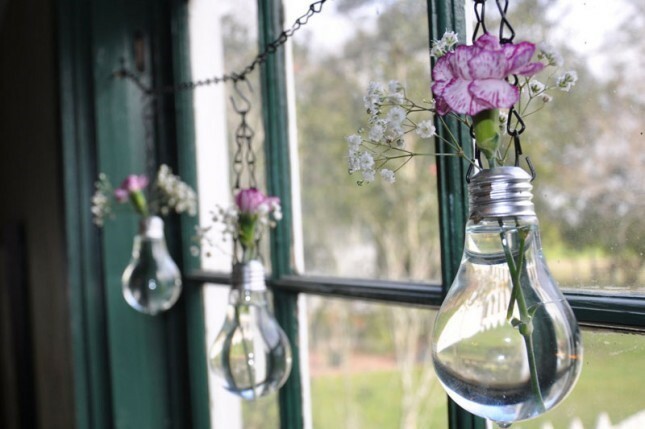 Or if you’re after a more feminine touch, why not use the lightbulbs as hanging vases instead and have cut or wildflowers displayed in them. We especially love carnations and freesias in these vases, but most fresh flowers work in this unique piece. 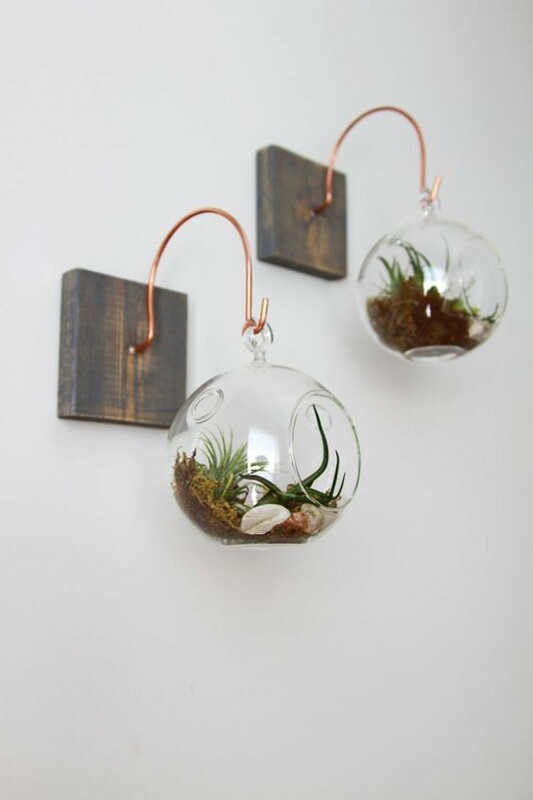 If you’d prefer a bolder statement than terrariums with your indoor plants, why not think about using hanging planters in a room. This elegant and flowing design can create such a difference in a room, with not much effort or money needed. Using plants with sparser and draping leaves will create a better effect with this piece. Try something like a spider plant or some sort of ivy or climbing plant to create a subtle but effective focal point in a room. Dust can sometimes build up on pieces like this and can look a bit old and dirty. If your indoor plants are looking a bit dusty, just use some cotton wool dipped in water to gently wipe the leaves clean. Give a second lease of life into your home interior and some old furniture too. 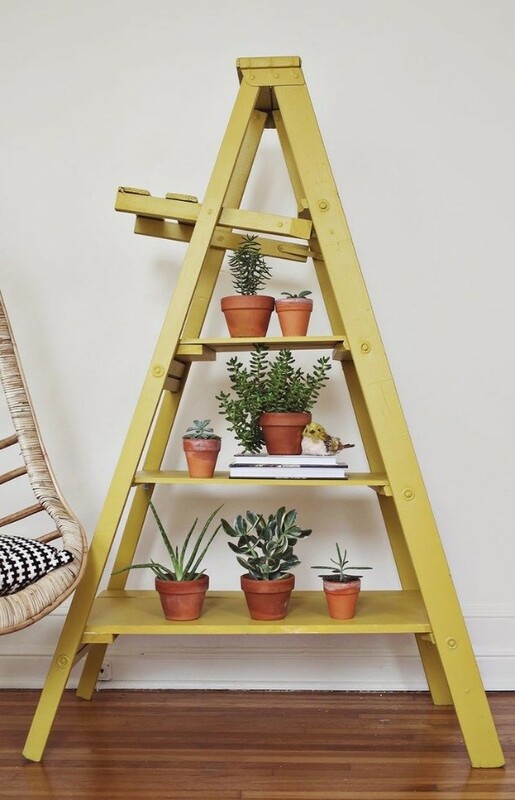 Upcycling furniture is a simple and creative way to display indoor plants in your home, and all you’ll need is a fresh lick of paint to brighten it all up. 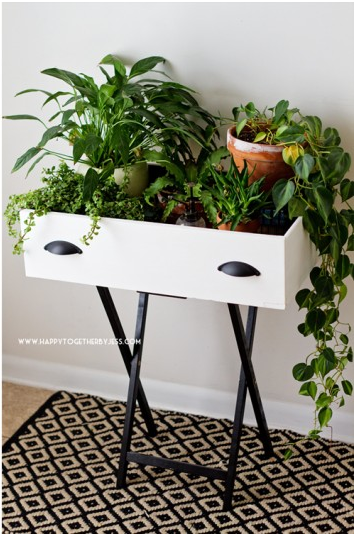 Find how this beautiful drawer planter was made here, and how to recreate the ladder look here! With the bold green, and ease to grow, the species of plants Dracaena are good for these re-loved pieces, or for hanging elegance then try something like Devil’s Ivy or Creeping Fig. Plants are more than just pretty – they can improve air and living quality of your home as well as the aesthetic! Studies have shown that indoor air pollution is actually worse than outdoor, with plastics emitting pollutants and the exhalation of carbon dioxide in enclosed spaces. Plants can easily improve this, and have also been shown to decrease stress and fatigue. With houseplants, the easiest way to kill them is to overwater them. Water plants so the soil is moist and wait for it to almost dry out completely before re-watering. Indoor plants generally need more watering in their active and growing season in spring and summer, and you can lessen the frequency slightly in the dormant winter months. But Which Plants Are the Best? We aren’t all gifted with green fingers, but not to worry! There are plenty of elegant plants that are easy to care for and still give that impressive lift to your décor. 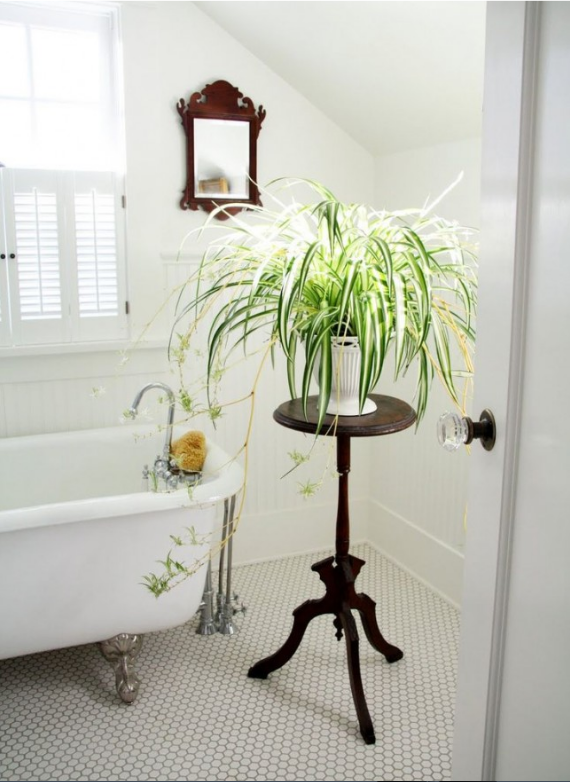 Spider plants are a favourite for the home, they reduce toxins in the air such as xylene and formaldehyde and are notoriously difficult to kill. They can survive dim and cold rooms and in dry soil – so it really is the definition of minimal care. With the two tonal leaves and distinctive spikes, they can bring depth to any indoor space. 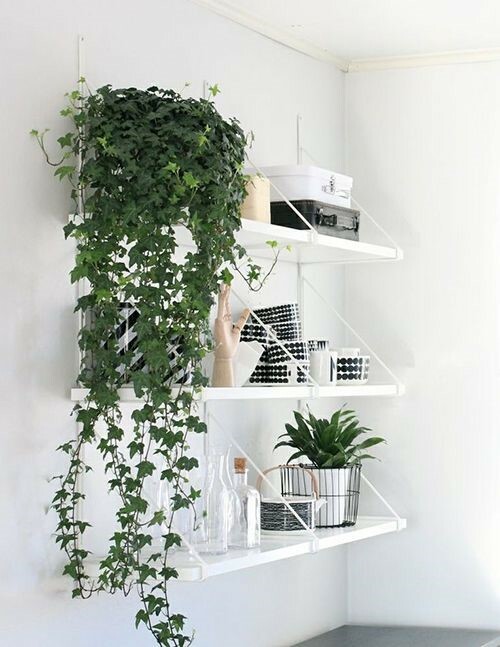 English Ivy is another tough plant, and looks beautiful in hangers or anywhere with some height, like shelves, cabinets or an upcycled ladder. It gives a splendid waterfall effect which can look elegant with minimal effort, and it’s also one of the best indoor plants at purifying the air. Another favourite, and one that is also impossible to kill. The elegant white flowers contrasted against the dark leaves mean this plant is a dramatic statement piece. 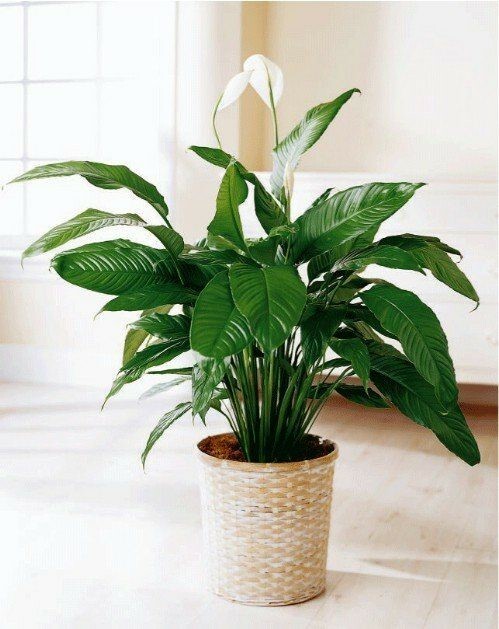 The peace lily is also a NASA approved air-filtering indoor plant, removing harmful toxins such as: xylene, formaldehyde, ammonia, benzene, trichloroethylene emitting from painted walls, human skin, plastics and electrical items. Find out more NASA approved plants here. 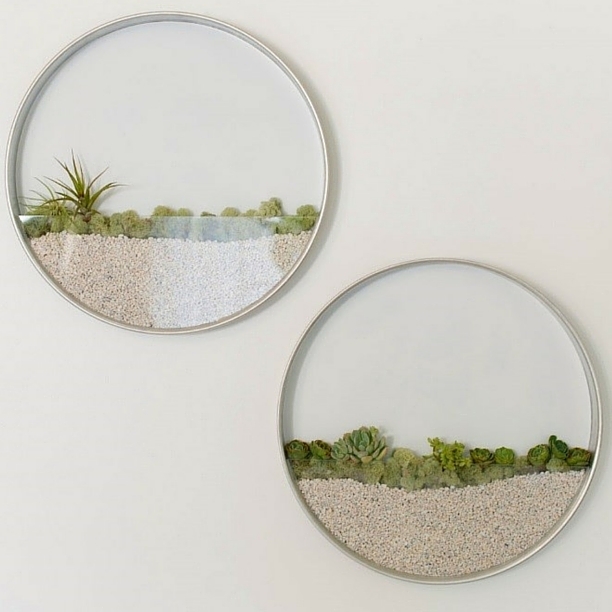 If it’s terrariums that interest you, then succulents are much better suited for that. Again, these are low maintenance and only need watering around every 7-10 days – so no gardening expertise needed! Golden clubmoss can create a wonderful texture in a terrarium display, giving a dense and lush green appearance that can subtly brighten up a room. It thrives in moisture and is (once again) a low maintenance plant. Find this beautiful display here. 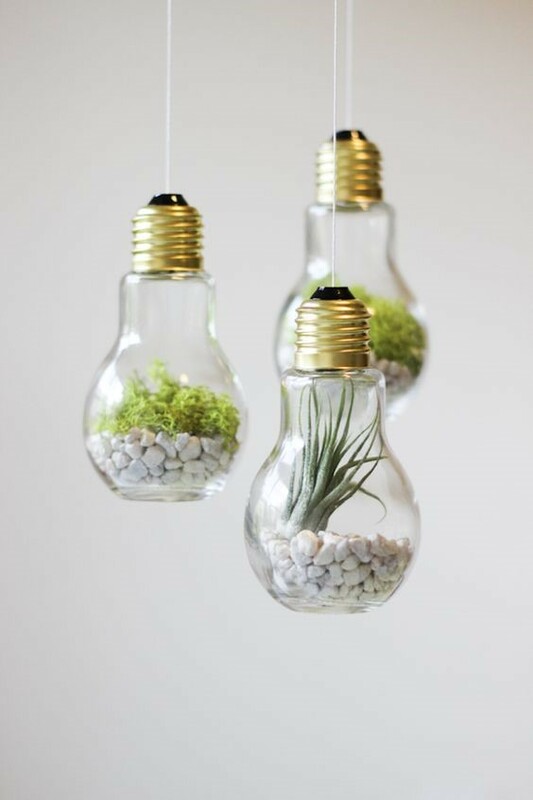 Air plants are slightly different to succulents and thrive in hot, light and airy environments. Because of this, they are generally the best indoor plant for use in any hanging terrarium such as the one above. They absorb nutrients from the environment through their leaves, so this lack of roots means you can get creative with how you present them, which is why they’re a favourite for elaborate and unconventional plant displays. Succulents like California sunset and echeveria minima make any terrarium look lusciously green. Pairing multiple succulents together make a mini garden effect and add to the variety and depth of the piece. These succulents like a warm and humid environment – but be careful not to over-water them as they can sometimes be sensitive to this! As the name suggests, the California Sunset is from sunnier parts of America and, as with the echeveria minima as well, they need a good source of light. There’s no question that plants are an easy way to freshen up your home’s décor, and with so many benefits there’s no reason not to run out now to pick up your plants! Hopefully our guide has made the decision a little easier for you, and lets you make an informed decision when building your luscious home oasis, now it’s up to you to get it all started! 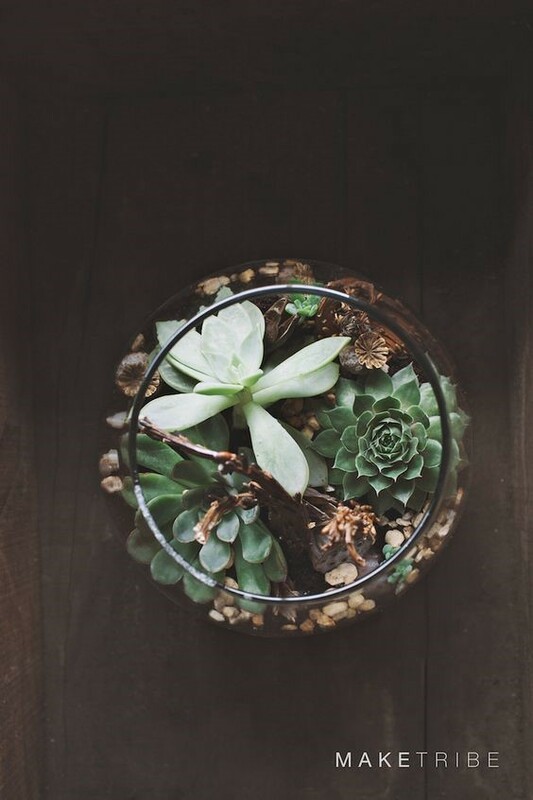 If you’ve got any beautiful interior plant creations, post them on Instagram and tag us at @therugseller to show off your beautiful terrariums and hanging plants!